I took this photograph back in 2007. At time I had no idea what kind of fish this was and snapped a photo so that I could identify it later. I did not realize it would take seven years. I finally broke down and purchased the full version of the Reef Fish Identification book by Paul Humann and Ned Deloach. I thought I had this fish identifed when I noticed the body and head shape matched the description in the book of the Sheepshead Porgy. I was bothered by the fact that the photo in Reef Fish Identification shows the fish with body bars. 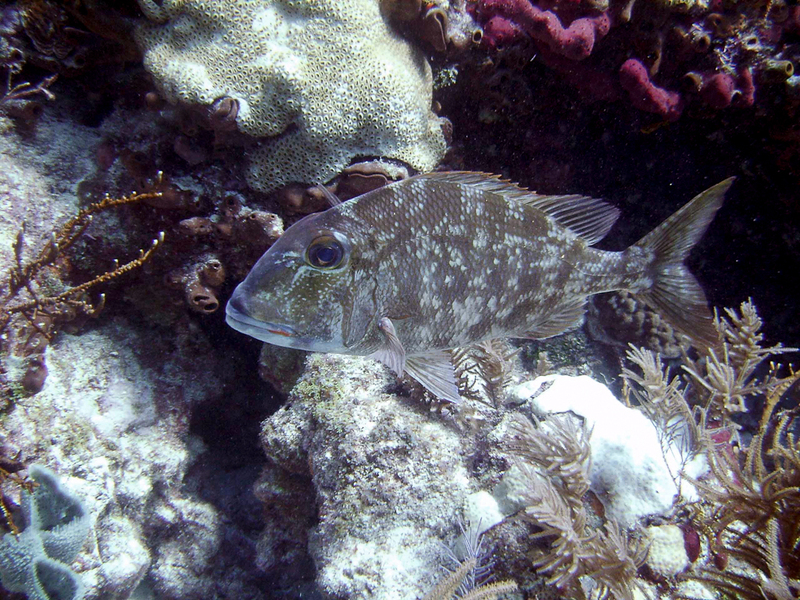 However, I did find a photo of a Sheepshead Porgy on the Fishbase.org Website that did look my photo. Based on the photo I am going to assume that most but not all Sheepshead Porgy have body bars. My photo still could be of a Sheepshead Porgy.